"Then's now with now's then in tense continuant." 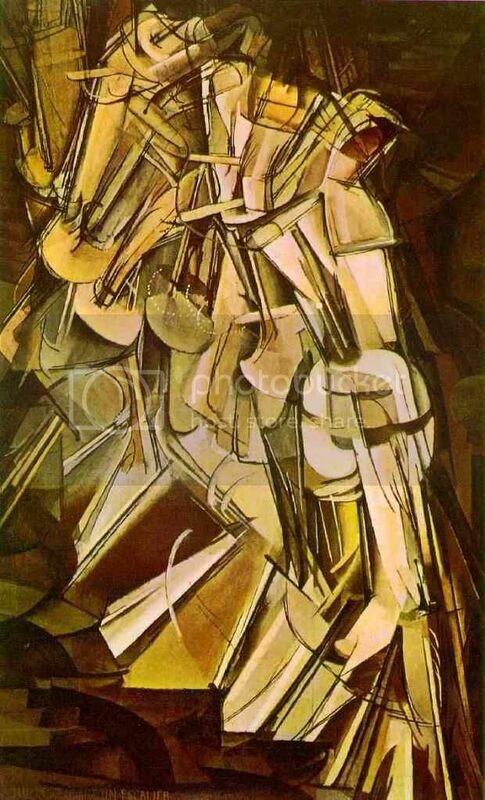 Defending this painting against critics, Duchamp called it "an expression of time and space through the abstract presentation of motion." This all reminds me of Finnegans Wake, just like pretty much everything else I look at right now having been so immersed in the book for three months. ...I had hardly entered the room where the masters were playing when I was seized with what may justly be described as a mystical experience. I seemed to be looking on at the tournament from outside myself. I saw the masters --- one, shabby, snuffy and blear-eyed; another, in badly fitting would-be respectable shoddy; a third, a mere parody of humanity, and so on for the rest. These were the people to whose ranks I was seeking admission. "There, but for the grace of God, goes Aleister Crowley," I exclaimed to myself with disgust, and there and then I registered a vow never to play another serious game of chess. I perceived with praeternatural lucidity that I had not alighted on this planet with the object of playing chess. "I am still a victim of chess. It has all the beauty of art—and much more. It cannot be commercialized. 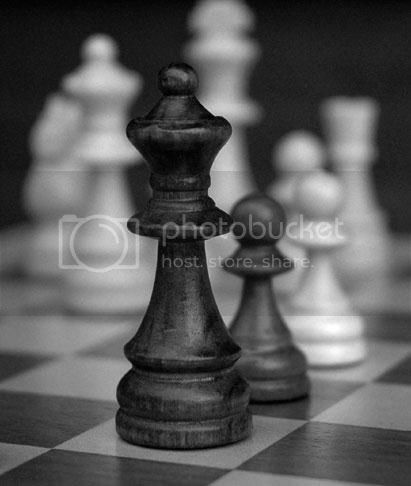 Chess is much purer than art in its social position." "you should have seen how that smart sallowlass just hopped a nanny's gambit out of bunk like old mother Mesopotomac and in eight and eight sixtyfour she was off, door, knightlamp with her, billy's largelimbs prodgering after to queen's lead... Room to sink: stairs to sink behind room. Two pieces. In the quicktime. The castle arkwright put in a chequered staircase certainly. It has only one square step, to be steady, yet notwithstumbling are they stalemating backgammoner supstairs by skips and trestles tiltop double corner. Whist while and game. While I don't think this is included therein, William Anastasi has written a thorough study of the possible links between Joyce and Marcel Duchamp and it is available online for free. Read it here. You can read plenty of great stuff about time and modern physics in Finnegans Wake here. Duchamp's point seems so much more approachable after all this interlude of film. It's odd that I thought I had seen some image of this painting, but I think I only imagined that I had. And scrolling through the picture as you do on the computer, I really thought it was something more a long the lines of an angel. The chess stuff is very interesting. Nabokov has a chess novel too. I think it's probably a mistake to look too closely at the end results for the practitioners of one's craft. It's very easy to have misgivings about the writerly community, for example, when viewed too closely.